Dunwoody was named in honor of Major Charles Dunwoody, a retired confederate officer who petitioned for the town’s first post office in 1821. The gracious homes in Dunwoody range from traditional ranch-style homes and bungalows to mini-mansions with perfectly manicured lawns. 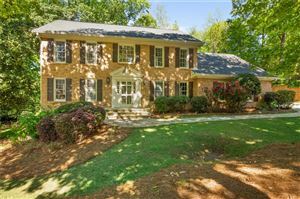 Also known for its many traditionally styled, two-story Williamsburg brick homes and established luxury subdivisions, Dunwoody is considered one of the most desirable places to live in the metro area. Numerous recreational facilities provide entertainment and for both outdoor enthusiasts, including both Lynwood Park and Recreation Center and Blackburn Park and Recreation Center. Cultural attractions are equally abundant and include the Dunwoody Nature Park and Nature Center and the Spruill Gallery and Historic Home. For more information on Dunwoody, click here.